The Buurtbar is a mobile coffeebar that operates in the town of Beringen. It brings together great coffee and food, activities, workshops, and most importantly, community to elderly people both in elderly care homes and in their own houses. 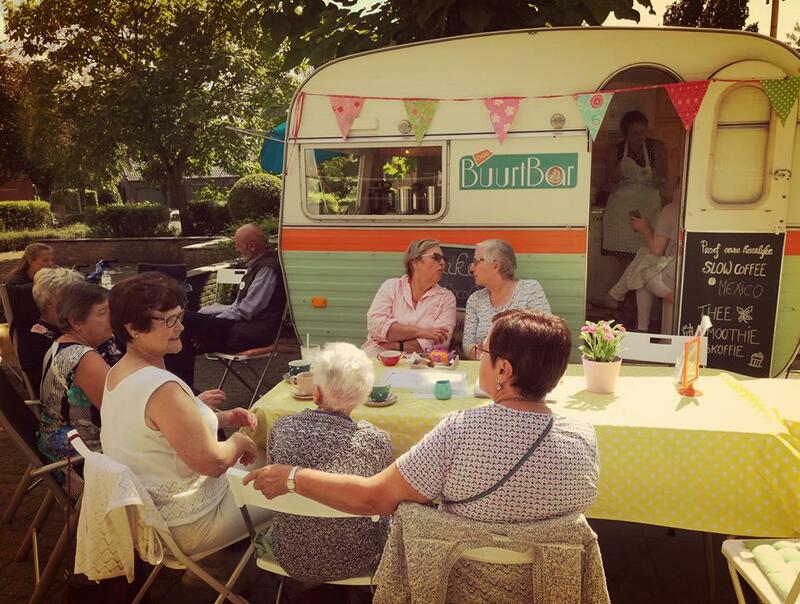 After a year of research, in summer 2015, Oasis Belgium launched a mobile coffee bar, called the “Buurtbar”, reaching out to marginalised and isolated elderly people in the area of Beringen. Using the expertise gained in running the coffee bar in Antwerp, the project brings community, information and support to elderly people, through a mobile coffee bar that visits neighbourhoods with little access to services. We also work in partnership with existing charities, rest homes and government facilities. The first eighteen months of operation have been a great success, with many elderly people benefiting from community, both in social housing areas and in elderly care homes. The project has expanded what it is doing to include one to one visits to isolated elderly people and also the Duoplus scheme which helps to match elderly people who have similar interests. The volunteer team has grown to 13 people, and the project is receiving good attention from local media. The Buurtbart is working in collaboration with local social services and other elderly care charities.